View the Sweet Dreams album booklet!! A dream is a wish your heart makes. The sentiment in that classic Disney song holds true for so many talented artists, singers, and songwriters wishing and hoping to make their mark. But one more ingredient is necessary for success: The hard work that it takes to turn that wish into reality — The drive that comes from a passion fueled by wanting nothing less than the best. Dom Thomas lives fully, loves deeply, and relishes every minute of his existence. The songs he sings on this album reflect his passion for connecting wholly with people and making every day of his life unforgettable. Performing live with Dom, I have had the pleasure to share in his joy on stage from the piano as he sang tribute to his favorite artists. And that joy of life is evident in his songwriting as well. As you listen to Dom’s original songs, you can’t help but hear his love for life, love of the women in his life, and love for sharing his music. His voice is full of the energy and soul of classic rhythm & blues and jazz greats, recalling the soul of Ray Charles, the smoothness of Al Jarreau, and the charisma and charm of Nat King Cole. 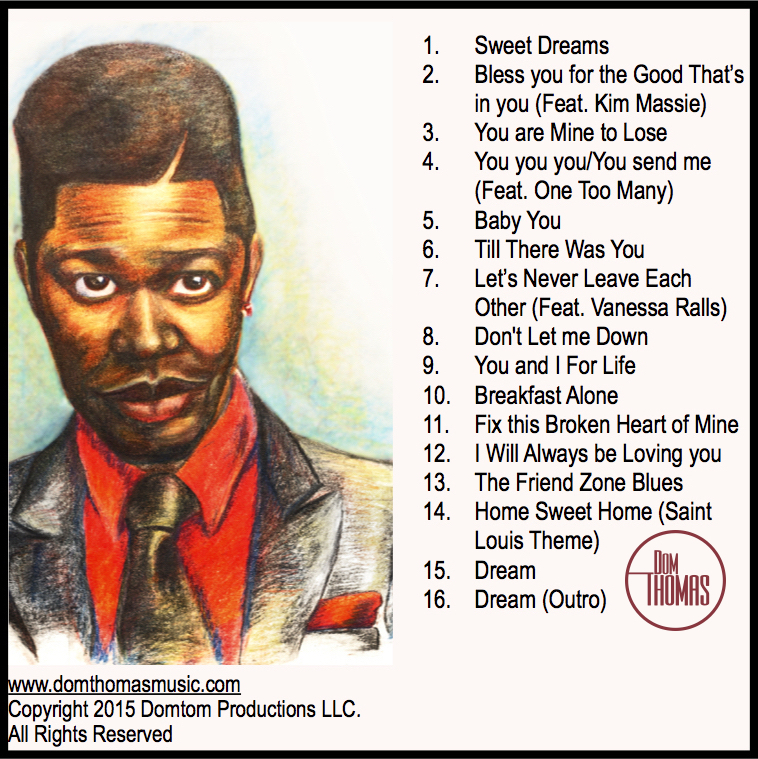 This album is a love letter from Dom to the people and places he has lived and loved. What a treat to hear him share his dreams — Working hard to make his dream come true.